African Sky recommends some of the finest safari lodges in the countries of South Africa, Botswana, Namibia, Zambia and Mozambique. 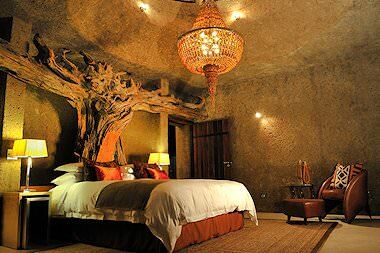 South Africa boasts some of the most exclusive and luxurious safari lodges imaginable. 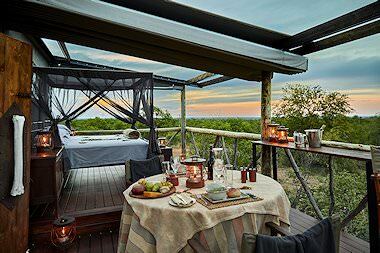 Botswana's handsome safari camps are enveloped in absolute wilderness. Relish lavish lodgings in unique surroundings and exquisite night skies. Zambia is revered for lodges that focus on comprehensive walking safaris. 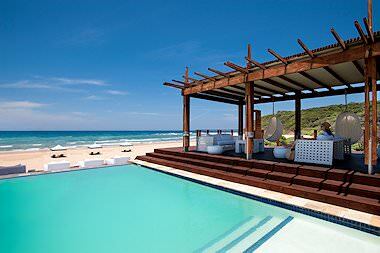 Private islands, deserted beaches and distant archipelagos form the backdrop of our Mozambican lodges. 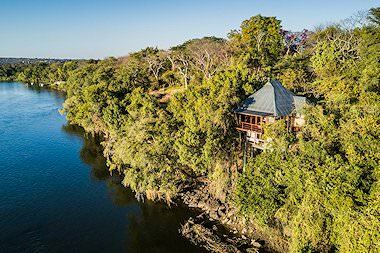 Zimbabwe's lodges are based around the Zambezi River and the Victoria Falls. Pick an African safari lodge that complements your budget and interests and savor the convenience of an all-inclusive fly-in safari lodge package - typically three nights and four days in duration Lodges may also be combined for a more comprehensive experience. Hamiltons Tented Camp offers an unforgettable four star fly-in safari experience in the heart of the Kruger National Park. 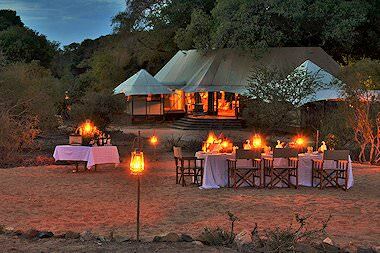 The plush tented-style camp is imbued with an 'Out of Africa' ambiance. 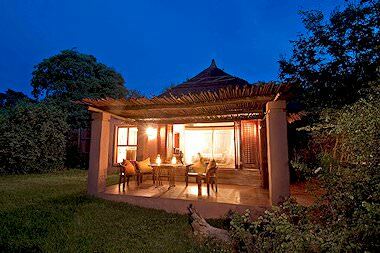 Simbavati River Lodge is an intimate, family-friendly lodge with eight luxury tents and three chalets. 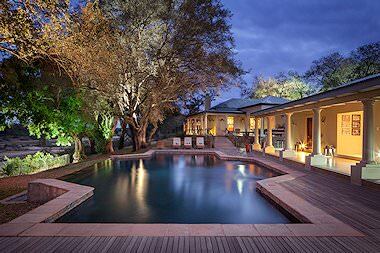 The four star luxury blends seamlessly with fantastic Big Five game viewing in Timbavati. Imbali Safari Lodge combines affordability with the exclusive opportunity to experience a private, unfenced concession within the Big Five-bearing Kruger National Park itself. Hoyo Hoyo Safari Lodge offers guests the unique opportunity to couple their Big Five game viewing in Kruger with a cultural experience and traditional Shangaan hospitality. 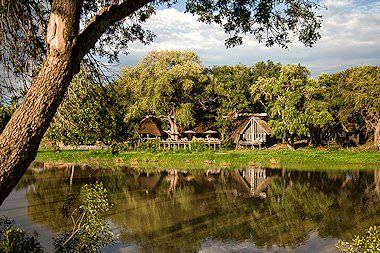 Guests at Camp Moremi enjoy unfettered access to one of the world's most sought-after wilderness areas - the Okavango Delta. 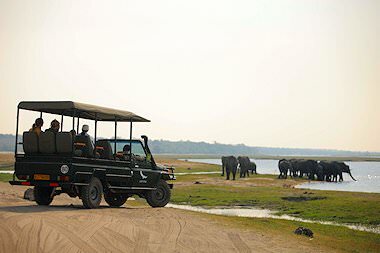 Both land- and water-based safari activities are included. Motswari is a fine four star lodge in the Timbavati Private Game Reserve, offering private lodge comfort combined with the exciting possibility of encountering rare white lions. 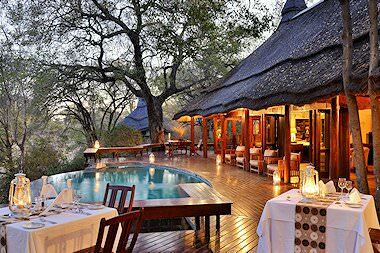 Lukimbi offers great five star value in the southern belly of the Kruger National Park - a very wildlife-rich region. 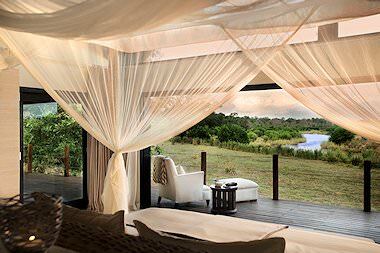 Surrounded by a 15 000-hectare private concession, Lukimbi guests will relish absolute exclusivity. 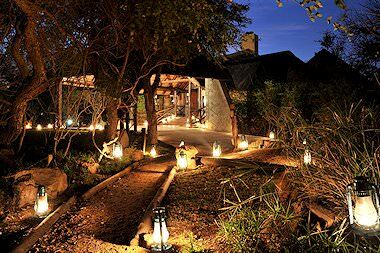 Kings Camp is one of the finest safari lodges in the Timbavati Private Game Reserve. The intimate five star camp oozes elegance, decked out in exquisite finery reminiscent of yesteryear. 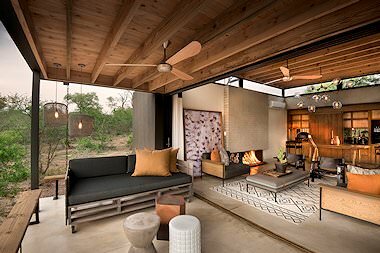 Lion Sands River Lodge occupies one of the most enviable slices of a real estate in the Sabi Sand - a position on the prolific Sabie River, the only thing that separates the reserve from the Kruger Park. 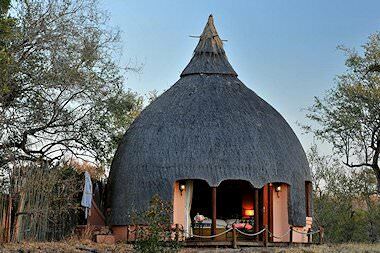 Chobe Chilwero is the most luxurious property in Botswana's elephant-rich Chobe National Park. Guests can expect opulent five star accommodation and striking views across the floodplains. 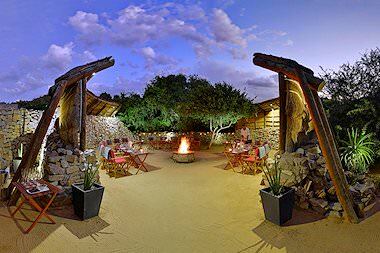 Phinda Forest Lodge is one of the most unique safari properties in South Africa, as it has been constructed in the Phinda Reserve's rare sand forest. Unforgettable sightings of the Big Five are standard. Ongava Lodge offers guests with a taste for the finer things in life to experience an authentic African safari both within and in a concession alongside Namibia's much revered Etosha National Park. 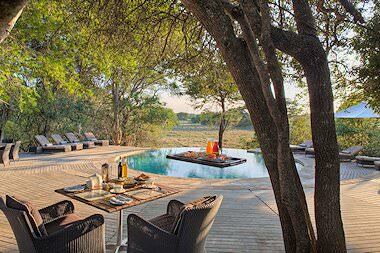 Lion Sands Ivory Lodge is one of the most luxurious safari lodges on the continent. Guests are pampered with enormous private villas overlooking the Sabie River, private butler services and more. This exclusive lodge on the banks of the Zambezi River in Zambia couples your unforgettable visit to the Victoria Falls with local highlights like safari cruises, elephant encounters and walking safaris. 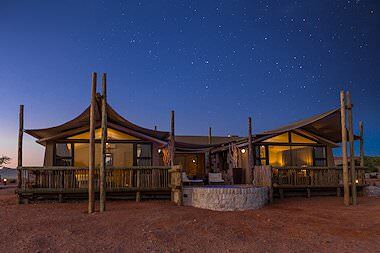 Little Kulala is a tiny, plush property dwarfed by the magnitude of the Namib Desert surrounding it. Activities range from quad-biking adventures to early morning hot air balloon safaris above Sossusvlei. Tucked away in the lush wilderness of the Eastern Cape, the Shamwari reserve offers Big Five safaris in a malaria-free area. 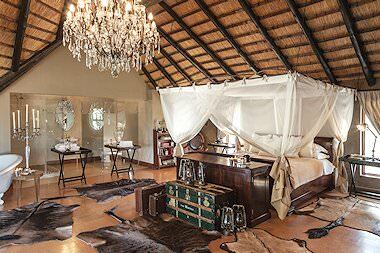 Eagle's Crag is the reserve's cream of the crop - an ultra-luxurious safari lodge. 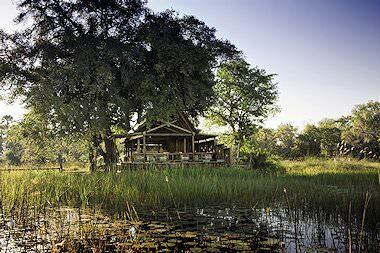 Chief's Camp is one of the premier camps in Botswana's hallowed Okavango Delta. 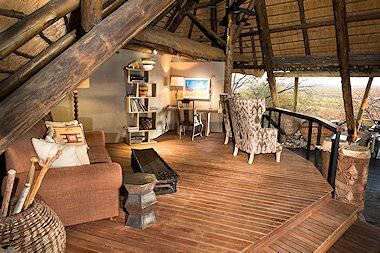 It is tucked away within the exclusive Moremi Game Reserve, known for the best game viewing opportunities in the area. Two of Southern Africa's most desired destinations feature in this week-long African safari that will appeal to travelers with more moderate budgets and keen interests. 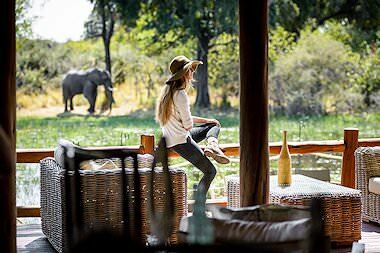 The African safari lodges that we include in our packages are scattered across the most bewitching corners of the continent, from South Africa's storied lowveld region to Botswana's wildlife-rich outposts. Explore the lodges in our collection via their incomparable wild locations. The safari lodges of the Kruger National Park range from some of the most exclusive properties on the continent (Singita Lebombo and Sweni) to four-star properties that offer fantastic value, like Hamiltons Tented Camp and Lukimbi Safari Lodge. 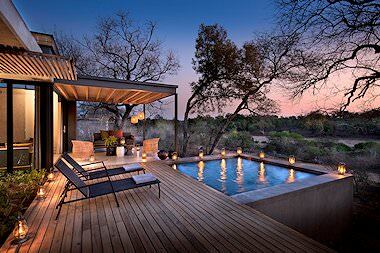 The Sabi Sand Private Game Reserve is popular for its award-winning lodges. Some truly extravagant safari palaces form part of the Sabi Sand contingent, but affordable (and high quality) four-star camps feature as well. 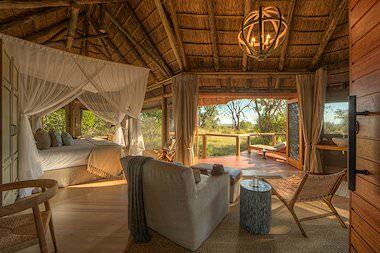 The camps in Botswana's Okavango Delta have all been constructed to leave only the most minimal footprint behind. The focus is largely on eco-friendly building materials and structures that blend in well with the surrounding environment. The most sought-after lodges in the Chobe National Park enjoy prime riverfront locations, offering easy access to sunset cruises on the Chobe River. Lodges in concessions should not be discounted, however, as the views over the floodplain are spectacular. Etosha National Park's luxury safari lodges are located on private concessions that share borders with the park, like Ongava and Onguma. Within the park itself, comfortable rest camp accommodation is available. 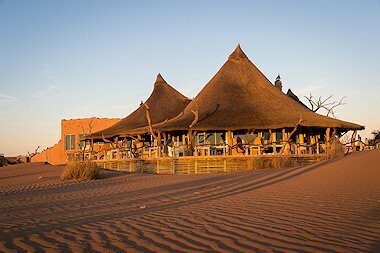 The lodges in Sossusvlei are frequently lauded for their unique style and high quality of service and food available here in the middle of nowhere. The stargazing opportunities are simply sublime, with most lodges boasting an on-site expert. 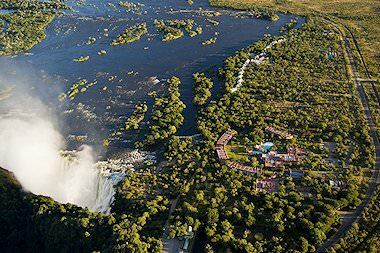 When it comes to lodging in the Victoria Falls, guests have the option of staying on either in the Zimbabwean or Zambian side of the Zambezi River. Some of the best lodges are actually further afield than the riverbanks. The lodges that we use in Mozambique are characteristically remote and luxurious, from hideaways on private islands in the Quirimbas archipelagos to outposts on leagues of near-virginal beaches. 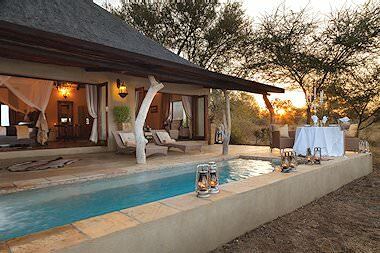 Safari lodges located in the Timbavati Private Game Reserve range from authentic bush camps like Umlani, to luxurious fives star lodges like Kings Camp with its tranquil setting overlooking a waterhole. The safari lodges that we recommend below have been handpicked for a variety of key factors, from their exceptional service levels to the game viewing potential of the area in which they are located. The emphasis is on a rewarding safari experience. Other African accommodations that we use in our itineraries range from intimate guest houses to sumptuous boutique hotels. In certain national parks and reserves in South Africa, we often make use of standard rest camp accommodation for great value. Our Kruger National Park safaris range from privately guided overland adventures to sumptuous fly-in packages. The luxury African safaris offered by African Sky include accommodation at sought-after lodges like Kings Pool in Linyanti. The Big Five are the continent's most impressive mammal species and occur widely across South Africa's wilderness areas. 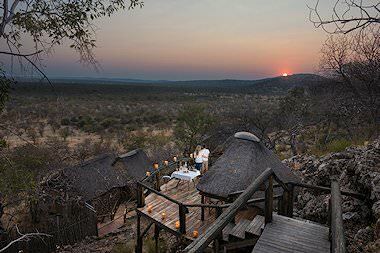 The choice collection of African lodges included in our packages range from three-star camps to opulent lodges that surpass star ratings.